Skaters made the case Friday for equal access to the Golden Gate Bridge. 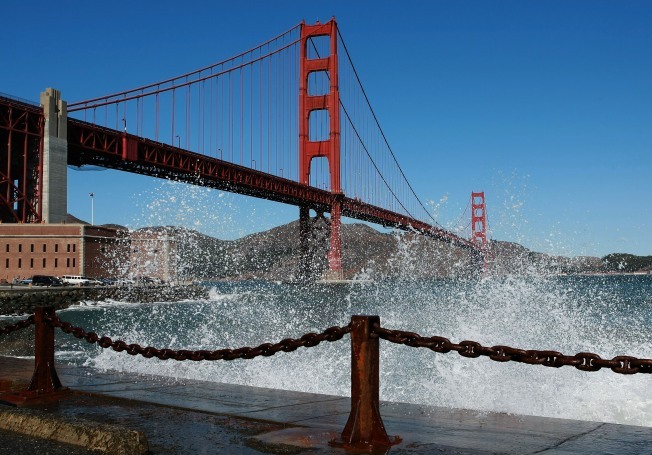 Members of the California Outdoor Rollersports Association, some with skates in hand, asked the Golden Gate Bridge District board of directors this morning to change an old rule and allow inline and roller skaters along the iconic span between San Francisco and Marin County. Members of the association say they were spurred to action by an April 10 road-skating event from San Francisco's Ferry Building to Sausalito, when skaters were stopped by police as they reached the bridge and had to carry their skates to the other side. The group calls the no-skating rule "ridiculous" and is now campaigning to change it. The bridge allows pedestrians and bicyclists, but a rule going back decades forbids roller blades, roller skates, skateboards and horses, district spokeswoman Mary Currie said. "It was incorporated due to safety considerations at the time," Currie said. "We've shown that we're safe, that we're considerate of the people that we're skating around," the group's Executive Director David Miles told bridge officials. "We're trying to use the skates as alternative transportation," Miles said. Other members of the group argued skating was a fun way to introduce young people to low-impact, healthy exercise, as well as a commute alternative. Miles said his group would be willing to confirm with restrictions on speed, skating single-file, or only on one side of the bridge, in exchange for access. Board members listened attentively to the speakers, at times smiling at their enthusiasm, but none offered comment. Currie said it is now up to the bridge board leadership to recommend further study of the proposal, but no decision has been made.